Previously at three days, Lollapalooza has always felt like a race to see who can look like a dehydrated sponge by the end of the weekend, but now at four days, getting through nearly a week of crazed teens and indie music fans is more of a chore than it should be. If the festival wants to continue its four-day streak, my suggestion would be spreading it out for two weekends, rather than the nearly impossible four, so we won’t feel so drained towards the end. This year Lollapalooza stepped up the amenities with inclusion of a fun skating rink, hacky sack tables, and more to give general admission some perks to enjoy in between sets. 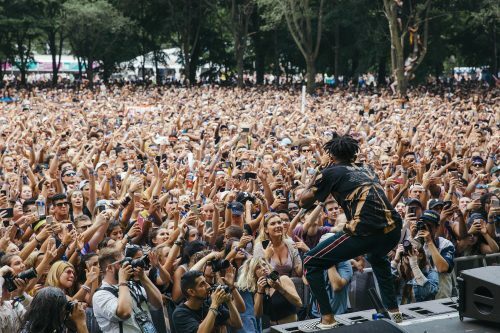 2017 was definitely not as exciting as previous years, but I still have ten top moments that made from this year’s Lollapalooza. Music aside, it is important for us elderly Lolla-goers to have a place to get away from the teenage hormones and debauchery for a little bit, and the cocktail lounge was the perfect spot. Tucked away under some trees by Lake Shore Drive, this was the only area where one could find spirits and mixed drinks. Complete with lawn chairs to kick back in, this was a nice escape to collect your thoughts in-between sets. It doesn’t take much to get the crowd at Perry’s hype, but DJ Snake managed to keep it interesting with a good mix of electro house and trap to keep the crowd energetic. 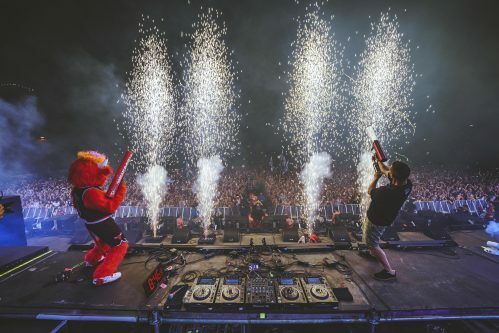 Pyrotechnics made for some epic moments that kept us on our dancing feet. Big Sean brought the theatrics and I definitely thought he deserved a top headlining spot this year. His stage art took from aesthetics from his “Blessings” video, with it featuring crosses and stone, similar to a graveyard. 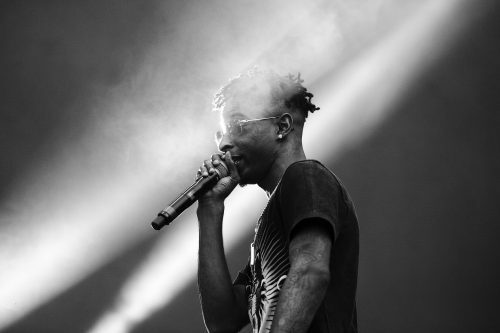 The Detroit Native powered through epic songs and even debuted his collaboration with Travis Scott and Metro Boomin during his set. 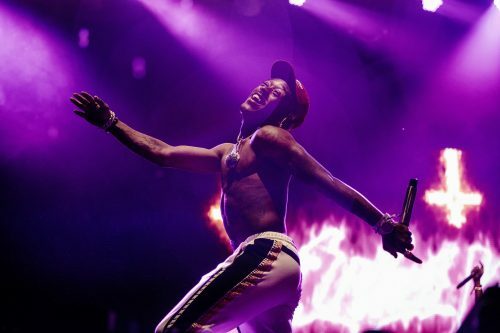 Although his set was cut short due to Chicago’s eternally bad-timed weather, a shirtless Lil Uzi Vert managed to get through a few of his hit songs while keeping 100 percent of the energy throughout the entire show in true rock star fashion. I didn’t know much about Amine, except for the fact that he had one of the better cypher freestyles from the 2017 XXL Freshman list. After seeing his set, I saw that he definitely deserved the spot and he is on his way into becoming one of the stars of the pack. His crowd control skills were impeccable and he always had the crowd on their feet as he went through songs like “Wedding Crashers” and of course his hit “Caroline”. Malia Obama also seems to be fan and opted for a photo op with the Portland artist. 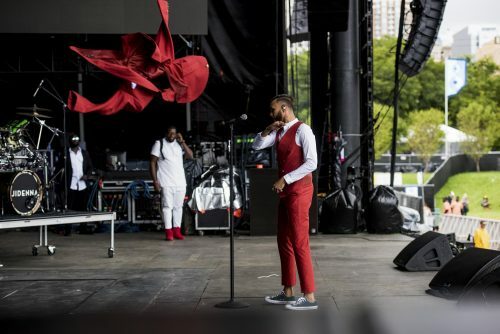 Dressed in his most dapper red three-piece suit, Jidenna took the stage and made it his own. I felt like I really got to know him as he threw in some personal quips in-between songs, such as imitating his father in a Nigerian accent before beginning his song “Long Live The Chief”. His set was consistent throughout, and anyone who wasn’t a Jidenna fan before definitely left one that day. A gorgeous night brought Lolla to a close, and Joey Bada$$ was a great way to end off the weekend. 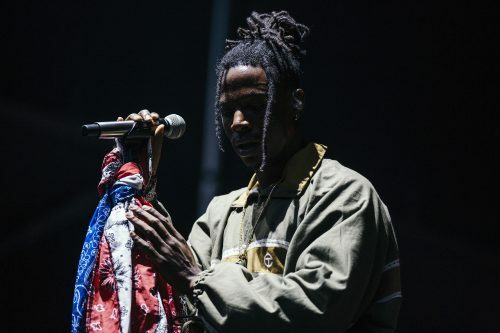 Probably one of the most socially conscious sets of the weekend, Bada$$ delivered a slew of hits from his new effort All Amerikkkan Bada$$, including breakout hit “Devastated”, but he also performed older songs like “No. 99” and kept it well-rounded for his Day 1 fans. I have never been so surprised as I was during 21 Savage’s set. I didn’t think his music would translate well to a live audience, but boy was I wrong. 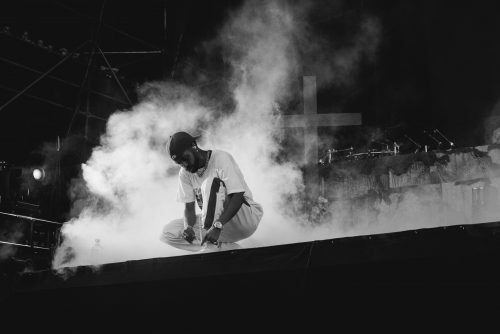 He engaged with the audience and would cut the music off during songs, not to just hear the audience recite the lyrics, but so we could hear that he isn’t just your typical mumble rapper. I also love his horror-rap aesthetic with the Jason graphics and Slaughter Gang red splatter fonts. However, I was really disappointed that I was too far into the crowd to see my lady-crush and Savage’s girlfriend, Amber Rose. Saturday was the day of hometown heroes, as native Chicagoans Kaskade and Chance the Rapper took the stage for headlining spots at the same time. Kaskade had the misfortune of competing with Chance’s astronomical crowd, which is rumored to be the biggest one Lollapalooza ever had. 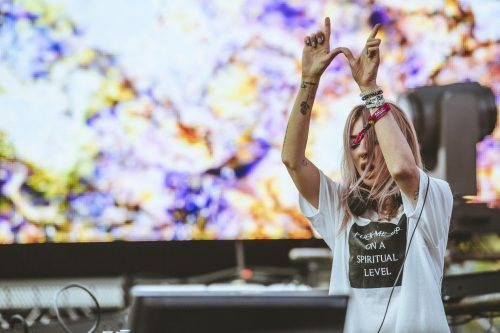 However, the legendary electro DJ didn’t miss a beat, as the diehard house music fans happily danced to the sounds of his set. Switching from gorgeous melodies to hard-hitting bass proves effortless for Kaskade, and he owned the night in his own right at his spot at the Perry’s stage.